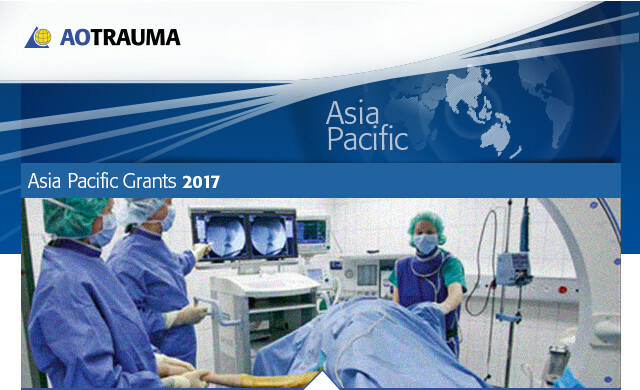 Apply for the AOTrauma Asia Pacific Research Grants 2017 before June 30, 2017. Application for the AOTAP Research Grants 2017 is open to individual clinicians/researchers and research groups in the Asia Pacific region. Application for an extension of funding for a second year is subject to review and will be processed with the other new applications. Download the AOTAP Research Grants 2017 Application Form and the Guidelines. Download the AOTAP Research Grants 2017: One Year Report Form. Please make sure you apply before June 30, 2017. Decisions will be communicated approximately four months after the deadline.